By ‘tickling’ select membrane channels you can effectively control neurons, by activating or deactivating cells. You can do this using electrical currents, like we see very well illustrated in brain-computer interfaces, light (the field of optogenetics), and sound (sonogenetics). Yes, sound. This was only recently demonstrated by researchers at Salk’s Molecular Neurobiology Laboratory who used ultrasounds to control neurons in the nematode Caenorhabditis elegans. In optogenetics, scientists add light-sensitive channel proteins to neurons then shine a light on these to selectively open channels. This sort of technique has proven pivotal in our most recent efforts to unravel the brain’s secret. Closing and activating neurons is, after all, a quick fix to help us understand what each brain region does, like flicking switches until you find out what each does. The problem with optogenetics is that it’s invasive. If you want to study the human brain with optogenetics, you’d have to open a skull, and add an implant fitted with a fiber optic cable. Ultrasounds (frequencies past 20,000 Hz), however, can pass through the body. In fact, the most famous use for ultrasound in medicine is the sonogram which makes images of organs and structures inside the body. “In contrast to light, low-frequency ultrasound can travel through the body without any scattering,” says Sreekanth Chalasani, senior author of the study. “This is a new, additional tool to manipulate neurons and other cells in the body,” Chalasani added. “This could be a big advantage when you want to stimulate a region deep in the brain without affecting other regions,” continued Stuart Ibsen, a postdoctoral fellow in the Chalasani lab and first author of the new work. The ultrasounds by themselves didn’t activate neurons in the worm. First, microbubbles of gas outside of the worm were necessary to amplify the low-intensity ultrasound waves. “The microbubbles grow and shrink in tune with the ultrasound pressure waves,” Ibsen says. 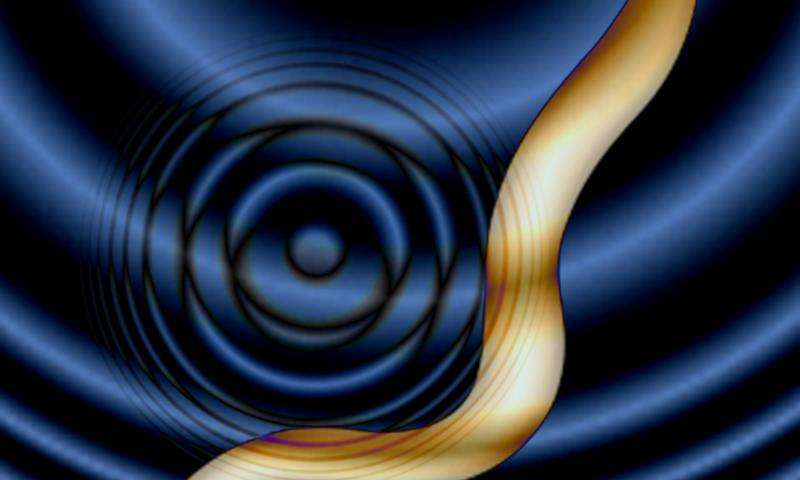 “These oscillations can then propagate noninvasively into the worm.” Once the ultrasound bombed gas bubbles activated motor neurons, the modified worms changed their direction of movement, the researchers report in Nature Communications. Of course, it’s not like you can ultrasound people’s brains and mind control them because not all membrane ion channels respond to the sound waves. One channel, called TRP-4, was found to be responsive and this is what they worked with. When the mechanical deformations from the ultrasound hitting gas bubbles propagate into the worm, they cause TRP-4 channels to open up and activate the cell. What about the neurons that don’t have this particular membrane channel? Well, the scientists were able to add TRP-4 to neurons that didn’t innately have them, and hence couldn’t initially respond to ultrasounds. From worms to humans there’s a long way, however. That’s not to say it’s impossible. In a mammal, TRP-4 could be added to any calcium-sensitive cell and microbubbles could be injected into the bloodstream. Theoretically, targeted ultrasound beams could then activate or deactivate neurons for therapeutic purposes, like fighting Parkinson’s. Sonogenetics is definitely something to follow in the future.